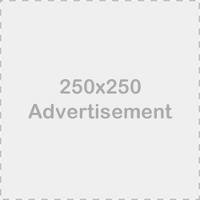 Urgent Matter: Shop to CLOSE temporarily Oct. 26th! I want you all to know first that the shop will close from Oct. 26th and will re-open November 17th. This is the first time I’ve ever closed the shop but the reason is dire and I want to let you all know why. LAST day for orders will be Oct. 25th. For those of you who’ve been with me these many years, you all have heard that “I come from a long line of great women.” And none so great as my maternal Grandmother. You may also know that I relocated to Viet Nam earlier this year due to my husband’s job. My sisters, Thy and Y, have done all the operational aspects of the shops, WhileBabyNaps for fine purse frames and PurseFramesOutlet for upcycled purse frames. Since our relocation in July, I’ve also spent this time to visit my Gram who is in very ill health and has remarkably worsened in the last 3 weeks. She has lived a great life and we are trying to make her comfortable in her last days. In this coming week, I have family coming from the US to visit her one final time. Thy, who has been inspecting and shipping out your orders and doing all the convos and custom listings, will leave her own family to come here to see our Gram. There’s been a lot of scurrying to get passports, plane ticket$, and visas. We expect this to be the final goodbye and eventual funeral as our Gram’s condition continues to deteriorate. I’ve been visiting her every day that I can and bringing my kids to see their Great Gram. 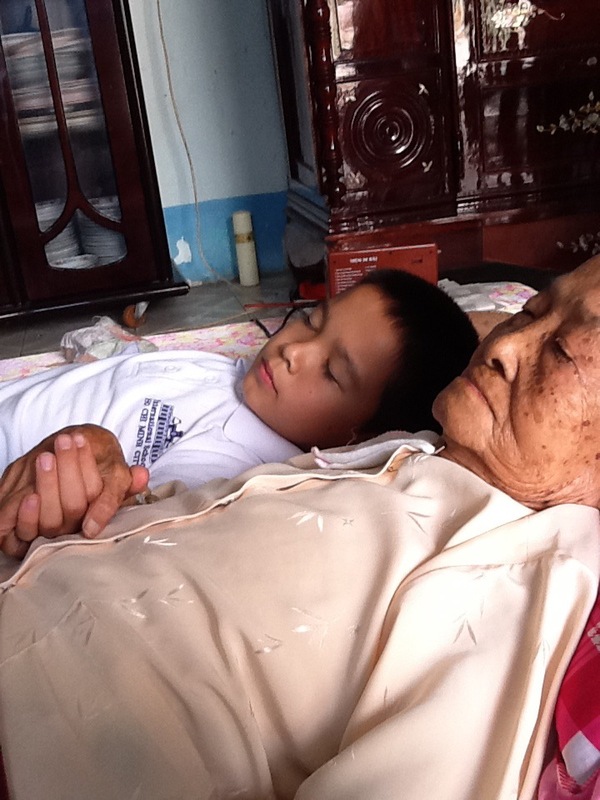 Here’s a pic of my oldest, 9 year old Ethan taking a little snooze next to his 98 year old Great Gram. My friend said "It's like he's passing his young energy to her to sustain her." Our Grandmother was the best. She raised 6 kids and survived both my Grandfather and one child, our mother. As is in Vietnamese tradition, she also raised all of the grandkids, including my sisters and I. All 3 of us used to sleep with her on the same bed. She was the one who fed us, clothed us, spanked us, hugged us, raised us, and loved us. Since we lost our mother while we were still little, she really was our own mother for many years. So it’s with much sadness that this amazing woman will have to leave us, but we are all comforted in knowing that she will be going to a better place. It’s through her and stories of our paternal Grandmother as well, that we all are such strong women ourselves. As per my previous posts, there is a reason why my business motto for WhileBabyNaps is not “The Finest Purse Frames Ever” or something to do with the products, it’s “Putting Women in Business”. And I am sure I get that from being borne to an amazing line of women on both sides. So in order for us to fulfill your orders in time and not over-promise, we will close the shop and our expected re-open date is November 17th. If Thy gets back sooner then we will let you know and will re-open the shop at that time. As far as those with Custom Orders and still unshipped orders for the nickel-free frames that I just had produced, they will be shipped out to you as soon as they come in and we expect them to come in late this week or early next week. My other sister Y, who does the PurseFramesOutlet business is flying from FL to OH to help take care of Thy’s 2 boys and inspect and ship those outstanding orders immediately upon inspection. All orders submitted by Oct. 25th will be shipped out to you prior to Thy’s departure. During this time, you can still send me convos and emails. I will work every evening to answer any questions you may have. For those of you wanting to place an order during shop closure knowing that it will not be shipped until Nov. 17th, please email me or convo me. We can accommodate customers who have ordered with us before since you know we will fulfill what we promise and there’s an established level of trust. I hope that closing the shop will allow us to focus on family at this critical time. I also hope that the decision in closing the shop and losing out on more than half of our monthly sales shows you our commitment to fulfill only what we know we can deliver. I do apologize if this shop closure is in any way an inconvenience to any of you. I know – fully – that you depend on our shop for your own businesses, and this decision was not done lightly. Please stay tuned and I will keep you in the loop on the latest production, inventory restocking, and any updates. You and your family are in my prayers. You need not have any second thoughts on this decision, you and your sisters are doing the right thing in honoring your Gram, and the rest of your family. This is a sad and difficult time for all of you, but you will have beautiful memories.